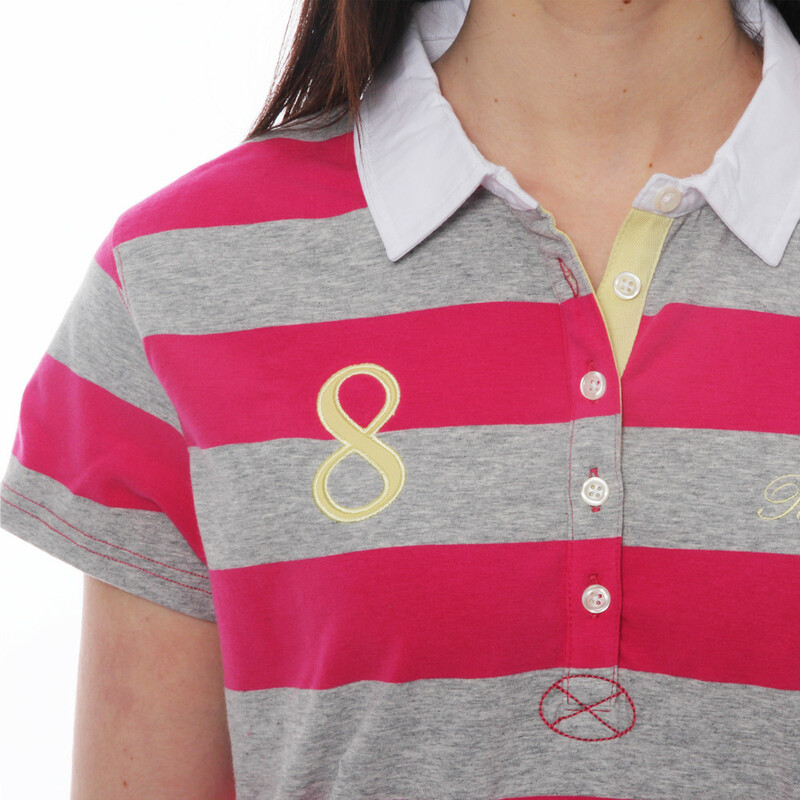 Grey and pink striped, short-sleeve woman's rugby polo shirt, 95% cotton and 5% elastanne. 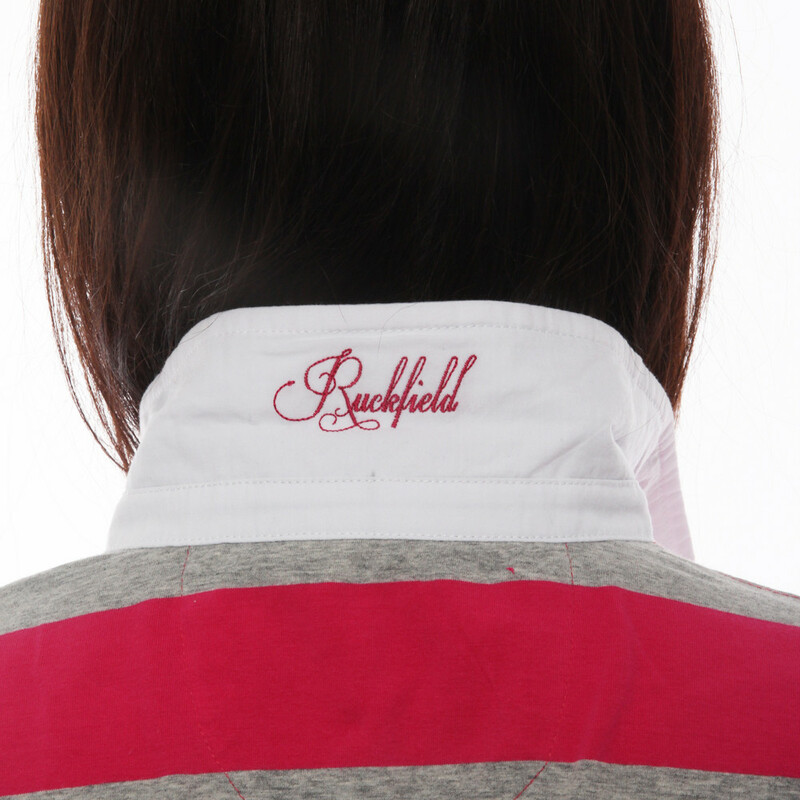 Grey/pink striped, short-sleeve woman's rugby polo shirt, 95% cotton and 5% elastanne. Contrasted half-moon and wrong side of the collar with a white/blue striped yoke. Collar fastened up by 5 buttons. 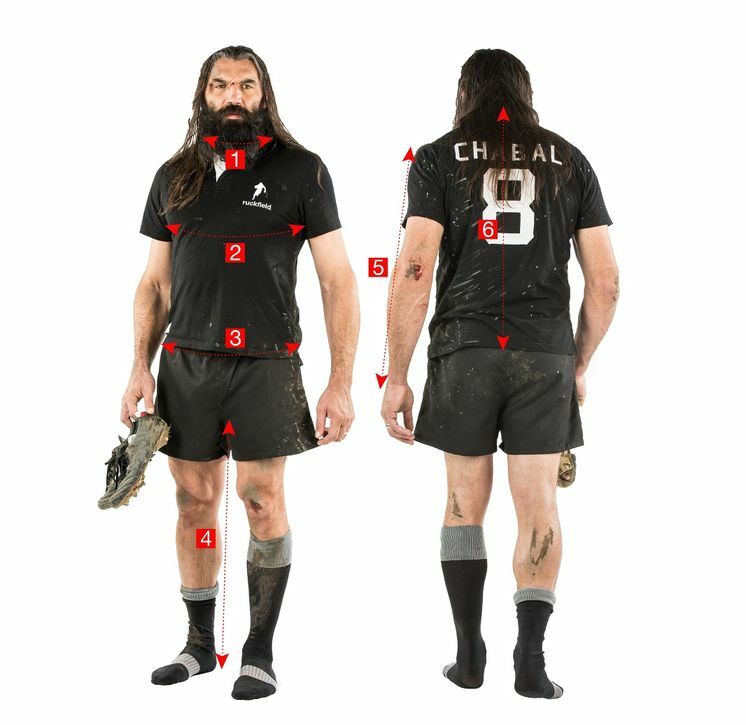 Embroidered on the chest, the inside and the points of the collar.